Although I hand-painted this safari tree mural in Carlisle, Ontario, I sell Animal Wallpaper Murals that ship for FREE all over Canada and the USA. They’re super simple to hang and totally removable when you’re ready to redecorate. 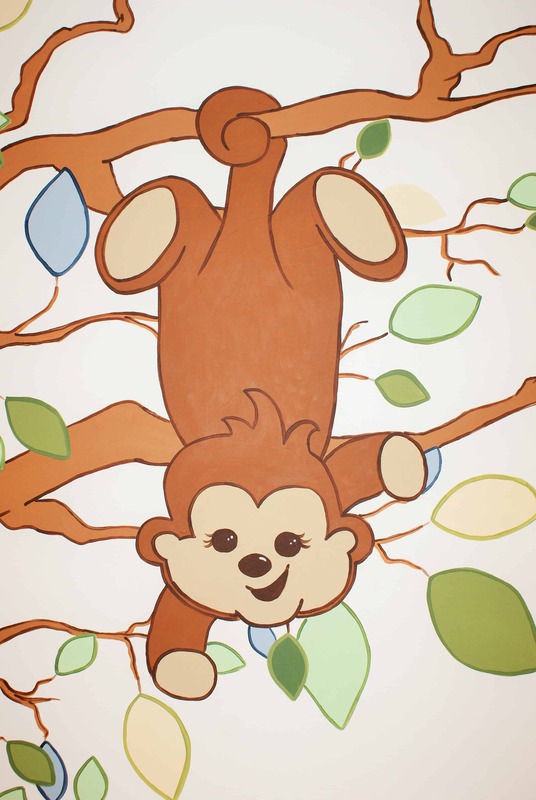 Here are the pics of sweet baby Jacob’s nursery mural! Mama, Lauren, wanted an animal close to Jacob’s crib so he’d have something to look at and I thought a silly monkey hanging upside down from a safari tree mural would be fun. I knew, as Jacob grew, he’d want to stand and pet him. 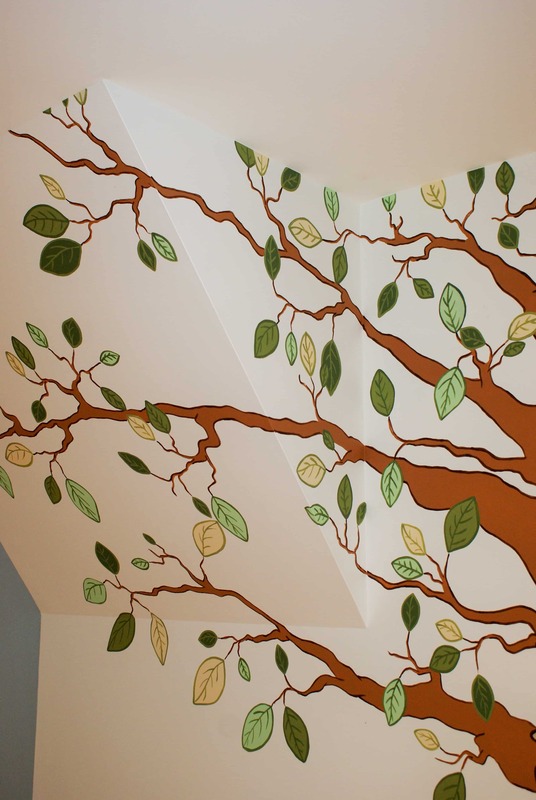 I paint all my murals using non-toxic acrylic paint and no VOC latex paint, so it’s totally safe for your kids to sleep in their bedroom the same night the mural is painted. 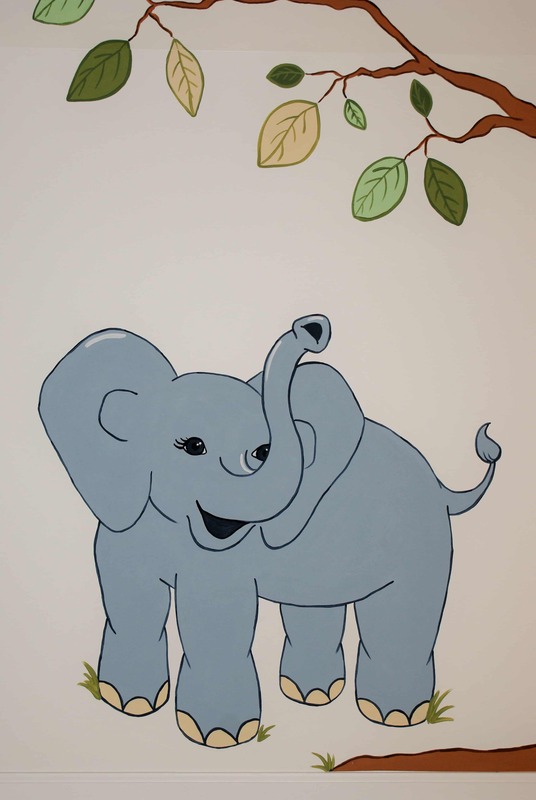 And the adorable elephant was painted in the mural next to the bookshelf at just the right height to keep Jacob company when he sits to read. 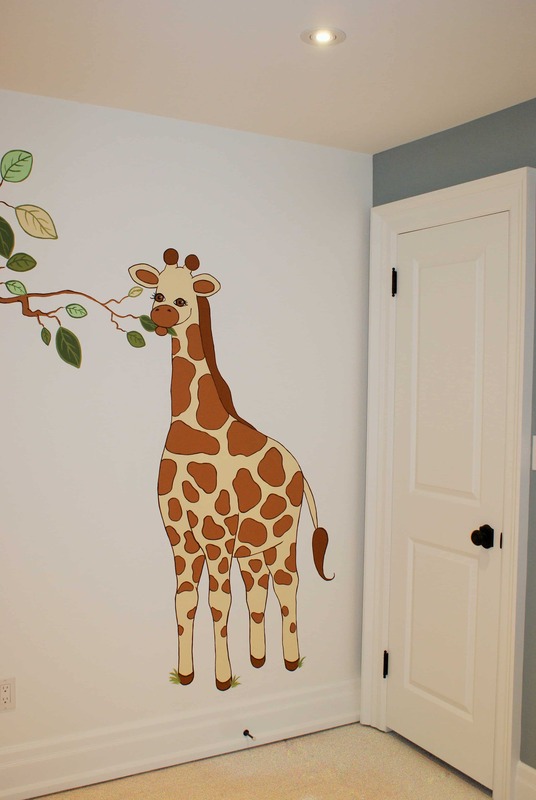 I love painting giraffes next to doors in my wall murals because it creates height in a room, making it feel taller than normal. It’s one way to make a room seem larger. 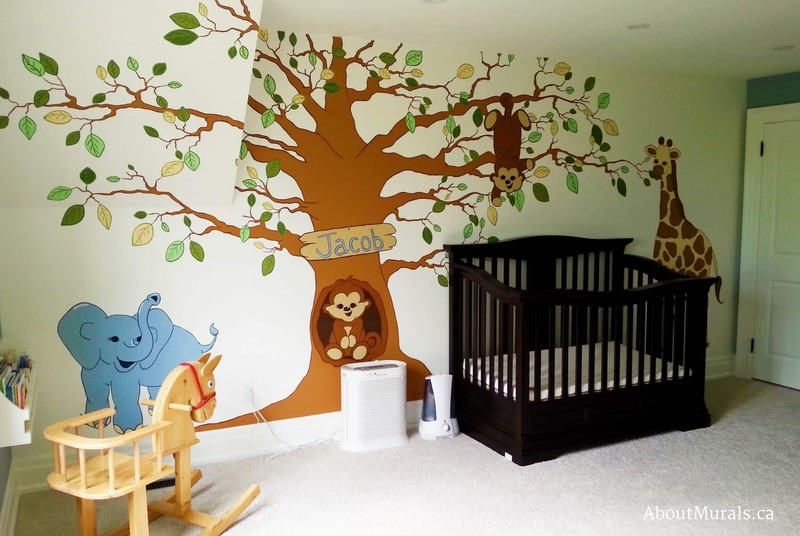 Lauren wanted to personalize the wall mural for her baby boy, Jacob, and knew she wanted safari animals. 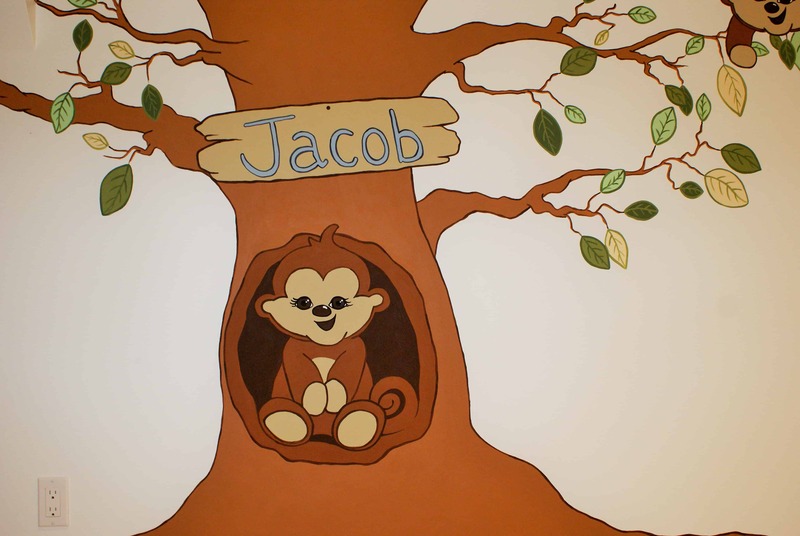 We worked together to design a mural with Jacob’s name painted on a wooden sign in the tree. So how can you get an animal mural like this? Hire me! I’ve painted murals across Southern Ontario since 2005 (I even painted one for a Mike Holmes TV show!). Get in touch for a quote. My murals start at $350.